The college years are a time to discover interests, hone abilities, and develop skills necessary to make the transition to the real world. When it comes to selecting a private university, there are the obvious factors: student enrollment, diverse degree options, student life and activities, tuition, faculty and staff, etc. However, what about the learning environment? What do the campus and surrounding areas have to offer? Do the buildings exude a historical feel, quietly echoing the academic achievement of generations past? Are the local flora and fauna up your alley? Is the campus somewhere students want to spend time? Here is a list of ten private schools that could be considered some of the most beautiful colleges in the country, listed in no particular order — may they help you find the type of campus scenery you're looking for. Located in Durham, North Carolina, Duke University boasts striking neo-Gothic architecture in a beautiful, natural setting. The school is known for the architecture of buildings such as Perkins Library, Baldwin Auditorium and Duke Chapel, with its 210-foot bell tower. 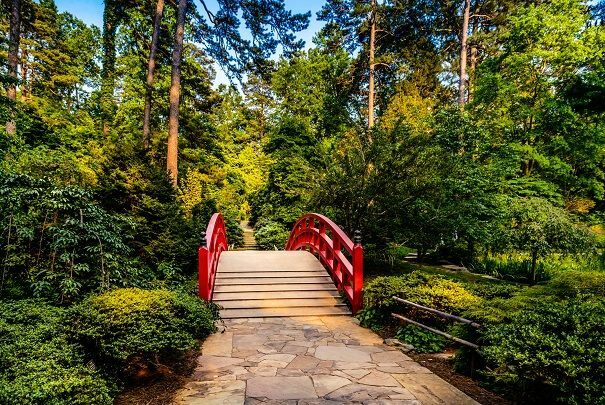 On approximately 8,600 acres of land, the campus is home to extensive forests and wooded areas, along with the Sarah P. Duke Memorial Gardens, making Duke University a great place for nature lovers. And don't forget to visit the Lemur Center and admire the cutting-edge modernist facade of the Nasher Museum of Art. Intrigued by the area? Here's info on alternative online and on-campus schools in North Carolina. Nestled in the Pennsylvania countryside, Bryn Mawr College makes a distinctive impression on those who visit. The school's Gothic architecture and castle-like buildings can transport you to another place and time. Bryn Mawr is home to dorms built like palaces and academic buildings mimicking medieval fortresses. 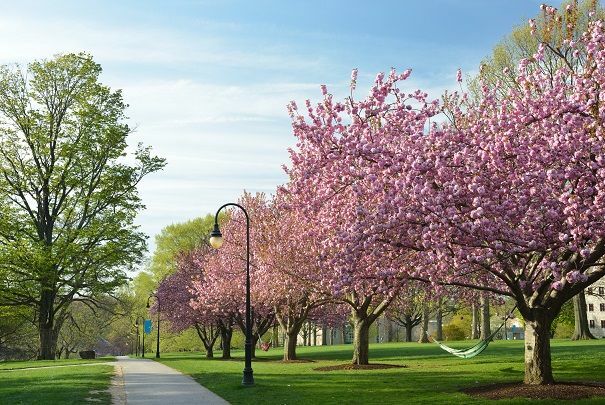 In addition to being famous for its architecture, the women's liberal arts college is also known for having more than 3,600 trees on 135 acres. The school earned Arbor Day Foundation's title of "2013 Tree Campus USA," holding this honor for the last three years in a row. Check out other online and on-campus schools in Pennsylvania. Nestled in the town of Claremont, California, which is known for its natural beauty and cluster of private colleges, Scripps College offers some unique design features. One of its most notable areas is the Margaret Fowler Memorial Garden, which is sometimes called the "secret garden" due to its secluded, cloistered location in the center of the campus. Other landmarks include the Elm Tree Lawn, Revelle House, the Rose Garden, Graffiti Wall and Bette Cree Edwards Court. All of these elements add to the distinct charm of the all-female school. Out West might be where your education begins. Read about other online and on-campus schools in California. There's a reason why Elon University makes it onto lists of the nation's most beautiful college campuses. Its aesthetic allure is complemented by the dramatic architecture of its buildings. Located in Elon, North Carolina, the campus is full of "Southern charm" — brimming with fountains, mature trees and wide open spaces. Planned campus projects include a global village on the shores of Lake Mary Nell. The school also takes advantage of the region's environment, offering opportunities for sea kayaking and white water adventures. 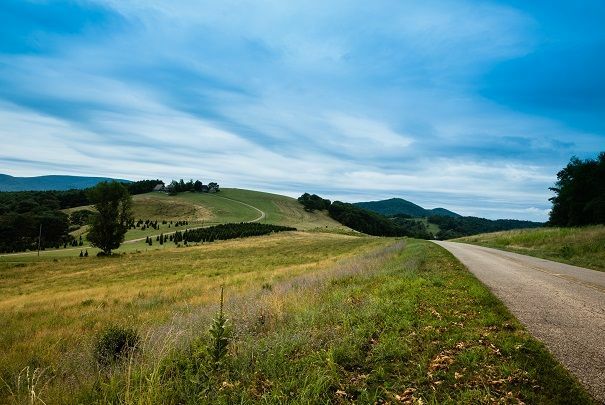 Surrounded by forests in the foothills of Virginia's Blue Ridge Mountains, Sweet Briar College offers a woodland setting on 3,250 acres. This women's college is also famed for its architecture of the Antebellum era, with 21 of the 30 buildings listed on the National Register of Historic Places. The campus is located on the site of a former plantation that relied on the labor of enslaved African American and Native American individuals. The hill-top Sweet Briar Burial Ground, used by the local slave community, is a poignant reminder of the area's past. 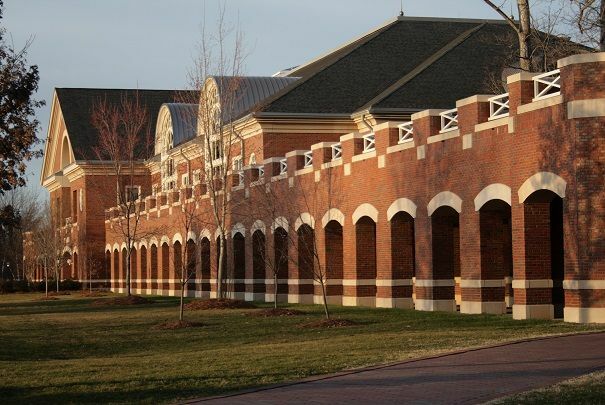 On-campus and online schools in Virginia of this sort could be the type you're looking for. 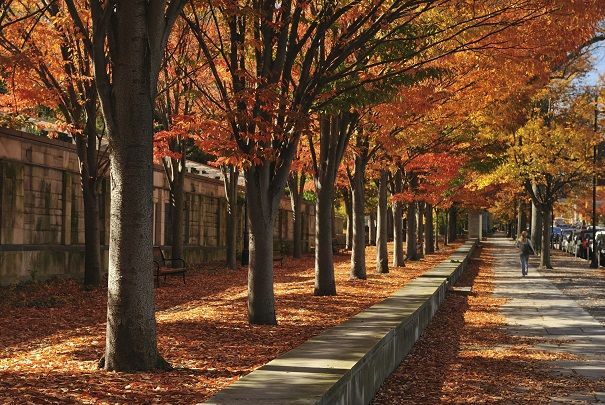 Located in Princeton, New Jersey, this iconic university is famous for its "gray stone" buildings, lush landscaping and abundant green spaces. 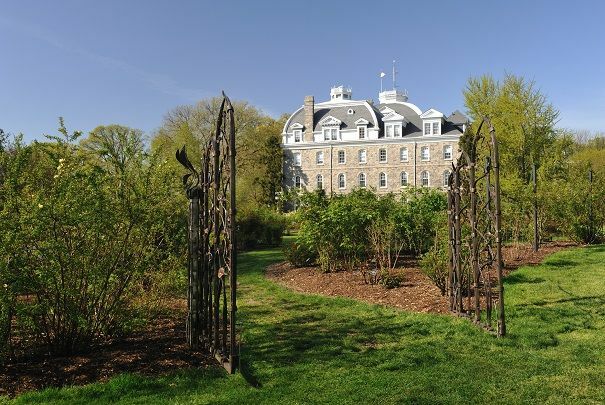 Princeton University has a long, rich history, and it features attractions such as the Prospect Garden in the middle of the campus. Architecture ranges from the hyper-modern Lewis Library to the Tudor Gothic majesty of the Princeton University Chapel, one of the largest college chapels in the world. With this wealth of historic architecture, the school is considered one of the most beautiful private universities in America. Learn more about New Jersey online and on-campus schools to find out if a similar school is right for you. 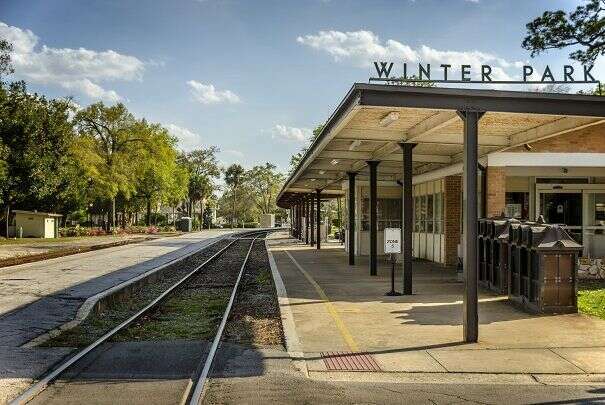 Situated near Orlando, Florida, this private liberal arts school is located along the banks of Lake Virginia. Rollins College is also home to Peace Monument, which was erected out of a German artillery shell after World War I, with a passionate inscription by Hamilton Holt. Although the monument was vandalized during World War II, the bottom half remains and continues to be a local landmark. The school is known for its scenic, well laid-out campus and Spanish-Mediterranean buildings, not to mention its own Carnegie Hall (formerly a library, which now houses academic offices and classrooms). Want to find out about your options for other on-campus or online schools in Florida? Here are the resources you need. 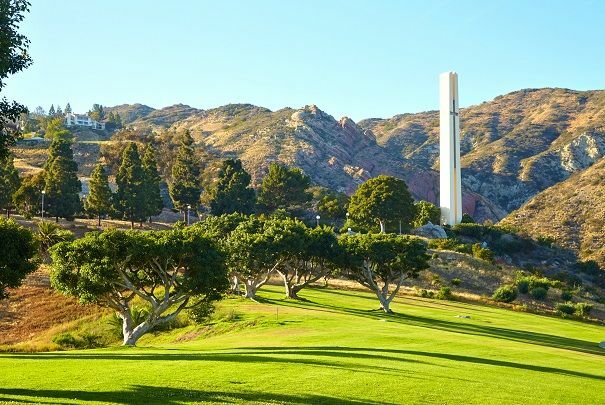 If you are a fan of the ocean and want a West Coast experience, take a look at the striking beauty of Pepperdine University. Located in Malibu, California, the campus boasts breathtaking views of the Pacific Ocean and provides access to Malibu Bluffs Park. Coastal fog complements the warm Southern Californian sun in this special environment. 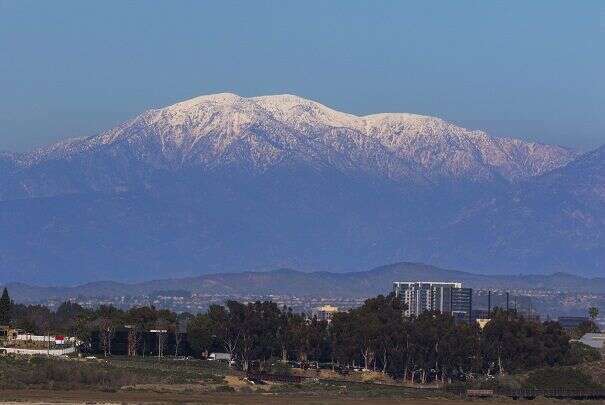 Cradled in the foothills of the Santa Monica Mountains, this school's dramatic scenery and diverse landscapes could prompt you to fall in love with the area. 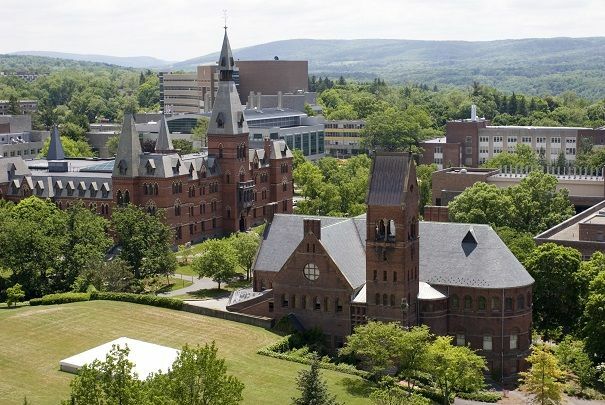 Cornell University is located in picturesque Ithaca, New York, and is surrounded by the natural beauty of the area. The campus overlooks Cayuga Lake and is famous for the Cascadilla Creek waterfall and the local gorges, which attract hikers and swimmers alike. The university encompasses the diversity of several undergraduate colleges and different schools. The 2,300 acre campus offers a botanical garden and arboretum, with pastoral settings nestled in bowls carved by glaciers. Whether you're looking for fall color or blooming dogwoods, the schools calls out to those who love the outdoors. Other on-campus or online schools in New York might pique your interest. Check them out to get enrolled today. Swarthmore College is known for the natural scenery of its location in Swarthmore, Pennsylvania. Some of its notable features include small gardens scattered throughout the campus, an outdoor theater amid the trees, a creek and secluded forest trails. Swarthmore displays local-stone architecture and tree-covered walkways that wind through the many park-like areas. Due to its sprawling grounds of lush greenery, the 425-acre arboretum-like campus has been ranked among the country's beautiful colleges. From Gothic architecture to sweeping forests, historical buildings to ocean-views, each of these college campuses offer students more than just classroom learning opportunities. There are colleges for nature lovers and colleges for architecture lovers. Check out the above online and on-campus school links, as well as our general directory of online programs to find the right fit for you.